The world of Waldorf education first came online in the late 1990's with a chat group that included parents, teachers and administrators of Waldorf schools. A few of us had an inclination towards homeschooling, which was controversial within the world of Waldorf schools at the time, and out of that group was born another group dedicated to Waldorf homeschooling which gave birth to more groups. Today, in 2017, we have many websites as well as social media platforms like Facebook,Twitter, Instagram and even online programs and courses devoted to Waldorf homeschooling and homemaking, including my own program and eCourses. The point being that the world of Waldorf education has opened its doors to the world. With this expansion of Waldorf into the world, some notions about Waldorf education seem to have taken on a life of their own, outside of the pedagogical grounding Waldorf education ideally experiences in a school environment. 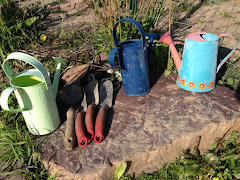 I've noticed some online versions of things attributed to Waldorf education that I'd like to explore with you, within the context of myth busting. Steve Sagarin and Sarah Baldwin have delved into some of these myths with an exploration of the pedagogy associated with the use of gnomes to introduce the four processes in first grade and the notion that the teaching of literacy is delayed in Waldorf schools. What I'd like to talk about is the use of colors and the names of the days of the week with children in the realm of Waldorf homemaking and homeschooling. It seems that once the cat came out of the bag, with the sharing of the meditative practice for the adult to reflect on the qualities of the days of the week, a whole new world unfolded online to share this with children by naming the days of the week by a color in order to create a rhythm of the week. This practice of reflecting on the qualities of the days of the week with a particular meditation, is for adults. It is something a teacher might do. 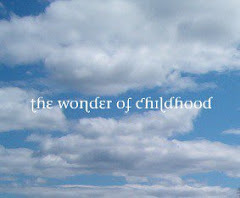 I'm not sure how it hit the online world of Waldorf homemaking and homeschooling, but it did. I've had some wonderfully wise and helpful Waldorf mentors in my life. One in particular inspires me to constantly ask myself why I we do what I do, to inform the action with an understanding of what it means for the child. We can ask ourselves why would we tell children about a color of the day? Why would we make a chart with the colors, how would it serve the child? What is the child's experience of this? Out of this emerges for me, a deeper question, how can we help bring children into healthy rhythm, into a healthy rhythm of life? The young child, from birth to age 7 or so, even age 9 for some aspects, lives in the realm of the will, that is in the realm of activity. In this stage of development, children are developing the WILL forces, the forces for doing, for being active. They are in the realm of DOING and can relate to what they will DO week after week by their physical experience of it, by DOING it, not by talking about it. What does this mean for sharing about colors of the day and creating charts for the activities of the week? Talking to children about colors of the day and showing them charts are all abstractions to a young child. To talk to them this way brings the child into the intellectual realm, while taking them out of the dreamy, wonder and awe filled realm of childhood. To keep track of time in such an abstract way belongs to the realm of the adult. Slowly the grade school child is brought into the realm of a schedule, initially through a strong weekly rhythm based on doing, on activities, with the same activities repeated on the same day of the week, consistently, week after week. In a Waldorf early childhood program, the days of the week are named for the ACTIVITY that is done on that day, such as "painting day," bread making day," "soup making day." These activities are done consistently week after week, as part of the weekly rhythm for children. So please, let's ditch the conversation about colors and keep the charts for ourselves. For the child under nine, just do it - do the activity for the day consistently that is! Children thrive on having a predictable and consistent life, with days such as soup making day, a baking day, a painting day. These activities deeply nourish the four foundational senses of childhood while the strong weekly rhythm provides deep nourishment to the child, and to the whole family.